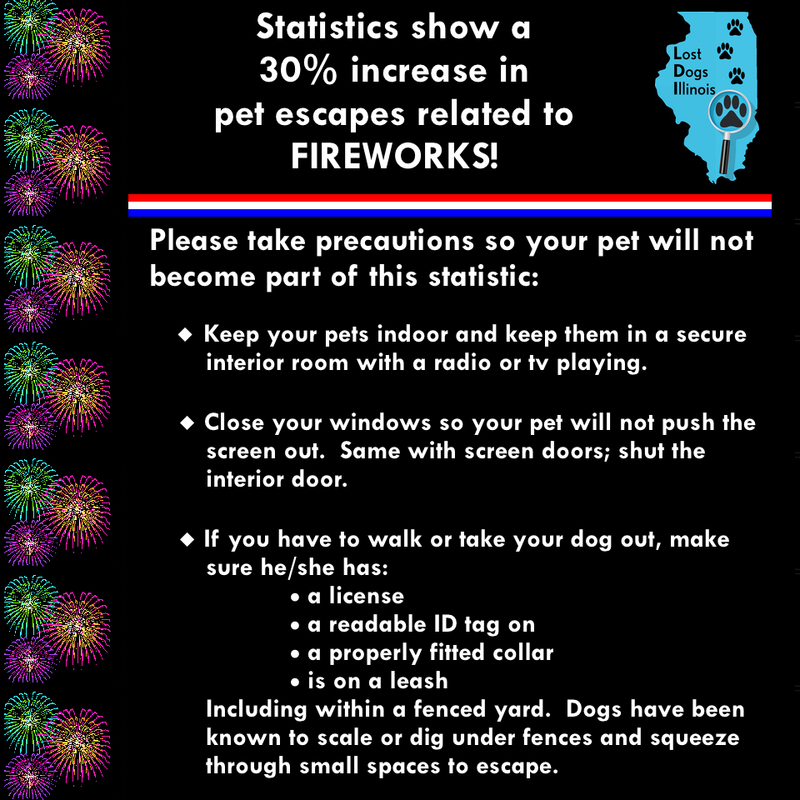 Tips to keep your dog safe. This year already Lost Dogs Illinois has partnered with several groups to offer free vaccines, microchips, collars and leashes and engraved ID tags. We pride ourselves in helping to preserve the human-animal bond. 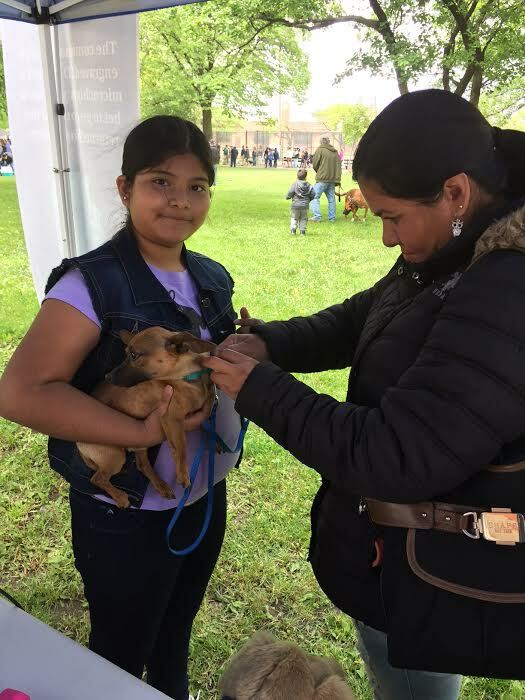 April, 2017 – LDI partnered with Garrido Stray Rescue Foundation and Realtors to the Rescue to offer Free microchips and engraved ID tags to over 120 dogs and cats at the 16th Chicago Police District. 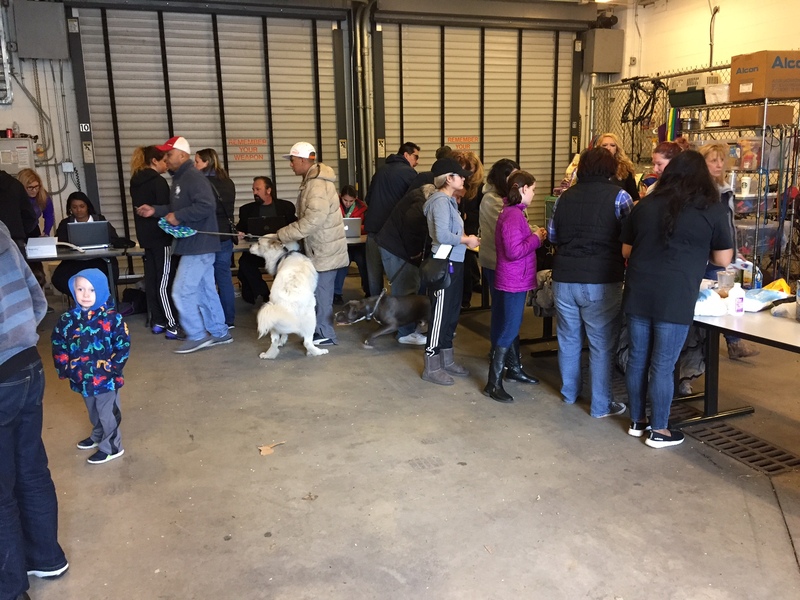 May 13, 2017 – LDI partnered with the Chicago Wolves to provide free services to over 535 dogs and cats at the McGuane Park, Chicago. May 21st LDI along with One Tail at a Time and Alive Rescue offered free services to over 350 dogs and cats in the South Lawndale area. 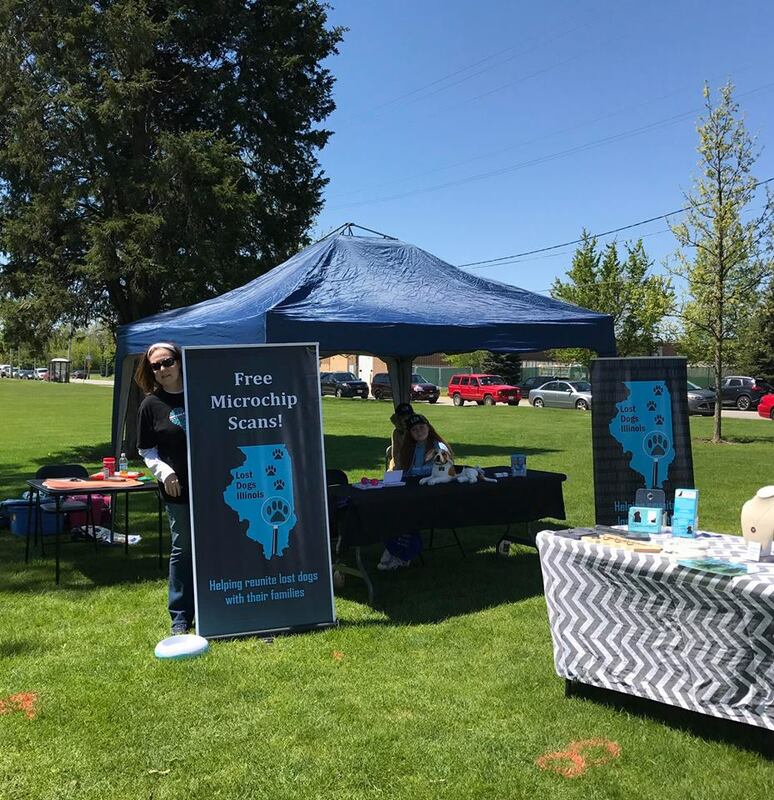 Lost Dogs Illinois also offered 50 free microchips each to Whiteside County Animal Control and Lee County Animal Control for their low cost microchip clinics in May and June. 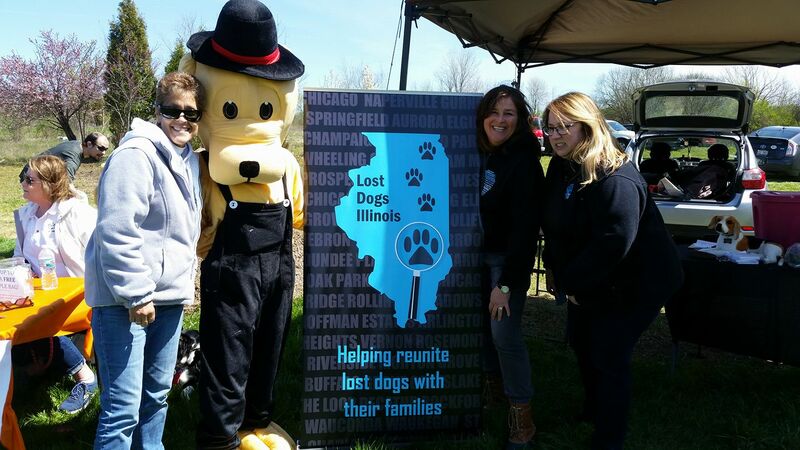 To round off our spring events, LDI attended Pawberry Lane Open House in April to provide free microchip scans. 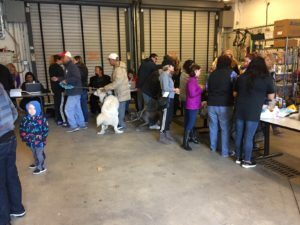 LDI provided free microchip scans at the Humane Society of Aurora in May. Thanks to Perfect Pooches rescue Lost Dogs Illinois was able to share a booth with them at the Paws on Route 66 in Joliet. 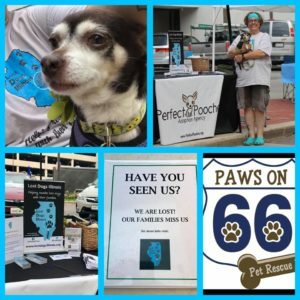 This entry was posted in Events, ID TAGS, Microchips, Prevention and tagged ID tags, perservinghumananimalbond on June 23, 2017 by Susan. Keep ID tags on your dog at all times along with a properly fitted collar – personal ID tag, Rabies/license tag, and microchip tag. 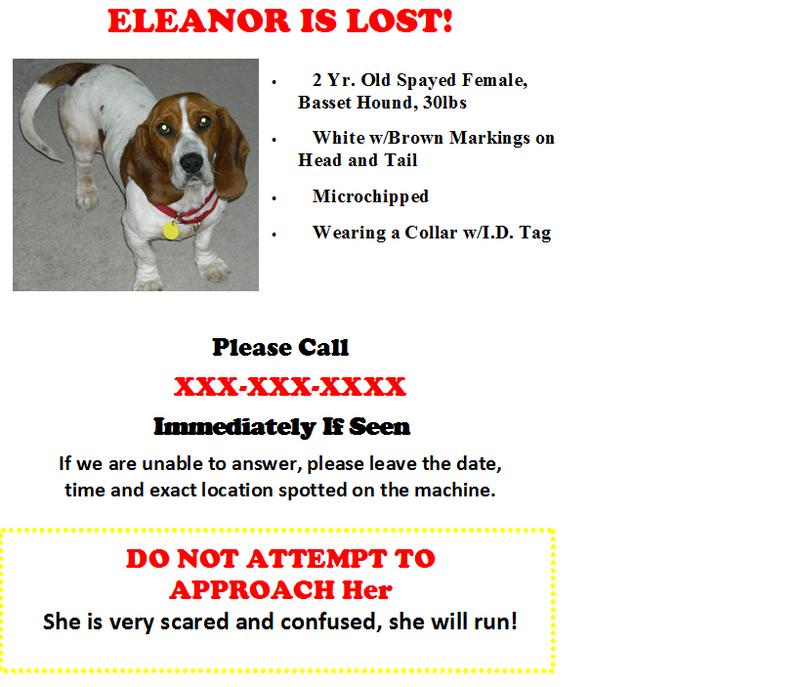 If your dog gets lost, you want the person who finds your dog to be able to easily contact or find you. Use a sturdy, traditional leash; slip the loop of the leash over your right thumb and close your fingers tightly around the loop. Use left hand to hold the leash further down. if she/he tries to bolt, you have both hands on the leash. When children are walking the dog, they should not only be old enough to understand the safety precautions, but also physically strong enough to handle the dog if he/she attempts to bolt. If you let your dog out into a fenced yard, check the fence on a routine basis to make sure it is secure. Winds and snow can damage your fence. Be extra cautious with shy/timid dogs. When walking them, make sure they have a properly fitted martingale collar along with a harness; either hook the harness and collar together with one leash or leash separately. Both collar and harness should have ID tags. 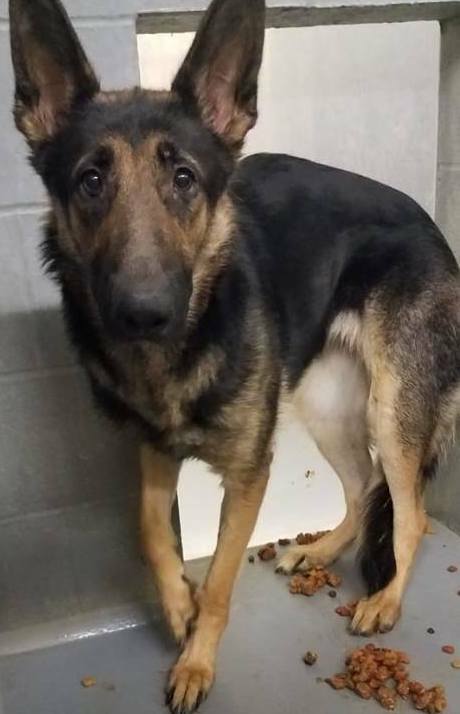 This entry was posted in Prevention and tagged cold, ID tags, microchips, prevention, shy and timid dogs on December 12, 2014 by Susan. This entry was posted in Prevention on April 9, 2014 by Susan. I never thought it would happen to me but it did. 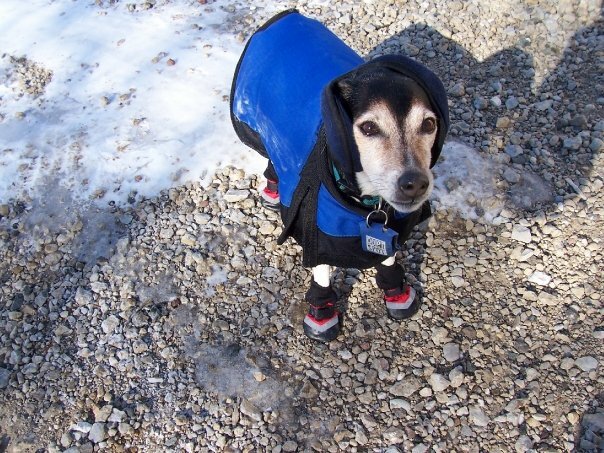 Six years ago, I lost two dogs; two months apart, from two different vet clinics, in two different towns. I’ve been in animal welfare for over 26 years and my husband lovingly calls me an “over the top” dog owner. Our backyard resembles Fort Knox with gates locked; our dogs know the command wait, there are barricades in front of the doors and a screen door to the garage. The dogs wear martingale collars with a license, ID tag and microchip tag. Our shy dogs also wears a sensation harness connected to their martingale collar prompting my husband to note he will grow old before I get all the dogs ready for a walk. Still though my dogs got lost. 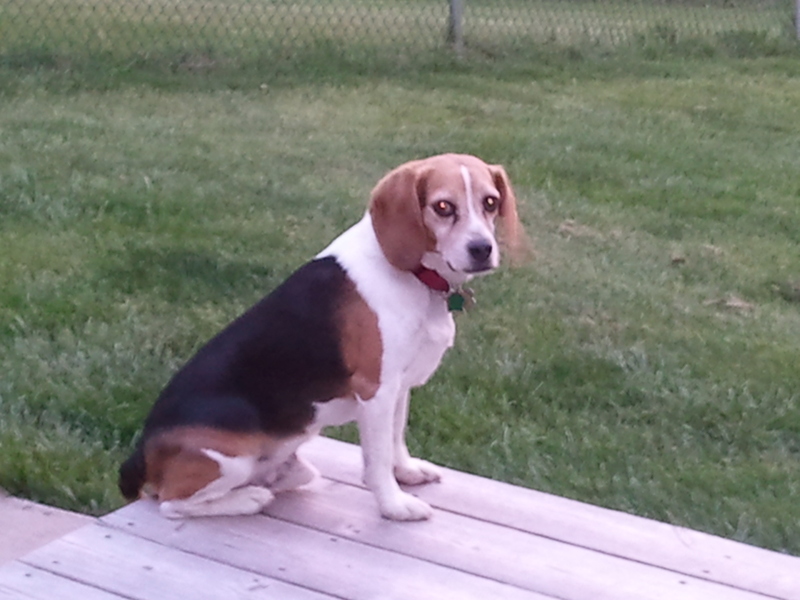 Both of my dogs’ escaped from vet clinics, in both cases it was an accident pure and simple. Regardless of how they got lost I had a plan ready should this ever happen and I got both dogs back safe and sound! Ricky, my beagle was lured in by a friendly female beagle after a sighting called in by the first person I handed a flyer to. 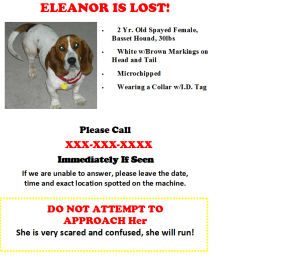 Ellie, the Basset, was another story, we fliered heavily, especially at intersections, to get people’s attention while they were stopped. We received over 50 sightings in 29 days (the whole town of Huntley knew she was missing) and then she was finally captured in a humane trap. So even though you have not experienced losing a dog, and think it would “never” happen to you, please take a minute – read our articles on our website and have a lost dog packet ready. Be prepared!!! This entry was posted in lost dogs, Our Organization, Prevention on January 7, 2014 by Susan. 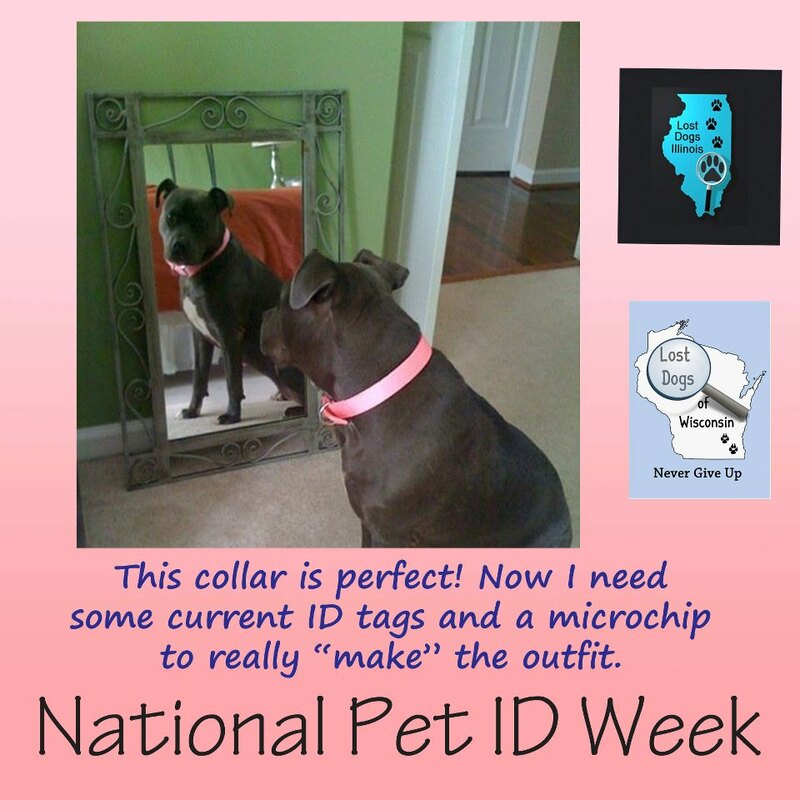 Be sure your dog is wearing a current ID tag that includes your cell phone number. Carry a copy of your dog’s rabies certificate in case your dog gets lost and is picked up by Animal Control. It is proof of a current rabies vaccination and your ownership. As an added precaution, simply take a piece of paper and packing tape, write the address/phone number of where you will be staying and tape it to the collar as a back-up or attach a temporary ID tag with the same information. Including your 4 legged friend is great, but if your dog is not one who goes with the flow, be sure to provide them with a nice quiet place away from the crowds to relax and feel secure. 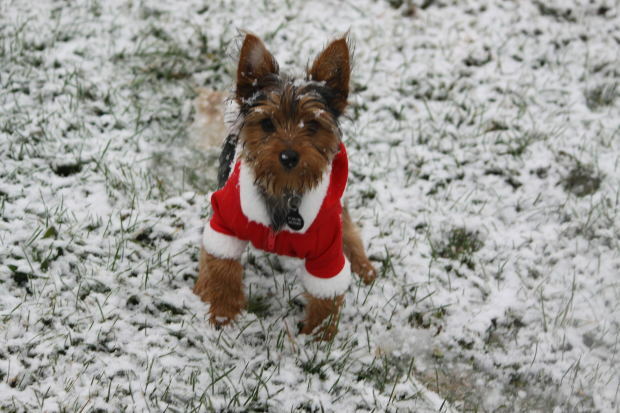 If your dog is a party animal and wants to be in the midst of the party – great!! ..Just be sure that someone keeps an eye on them or in a separate room and no escape routes like doors or gates are accidentally left open. Remember dogs that were unfazed by Uncle Joe giving them a kiss on top of the head or Grandma pinching their cheeks last year-may be terrified this year. Err on the side of caution. This entry was posted in Prevention on December 17, 2013 by Susan. Use a sturdy, traditional leash; slip the loop of the leash over your right thumb and close your fingers tightly around the loop. Use left hand to hold the leash further down. This will keep the dog on your left and if she/she tries to bolt, you have both hands on the leash. This entry was posted in Prevention on December 7, 2013 by Susan. 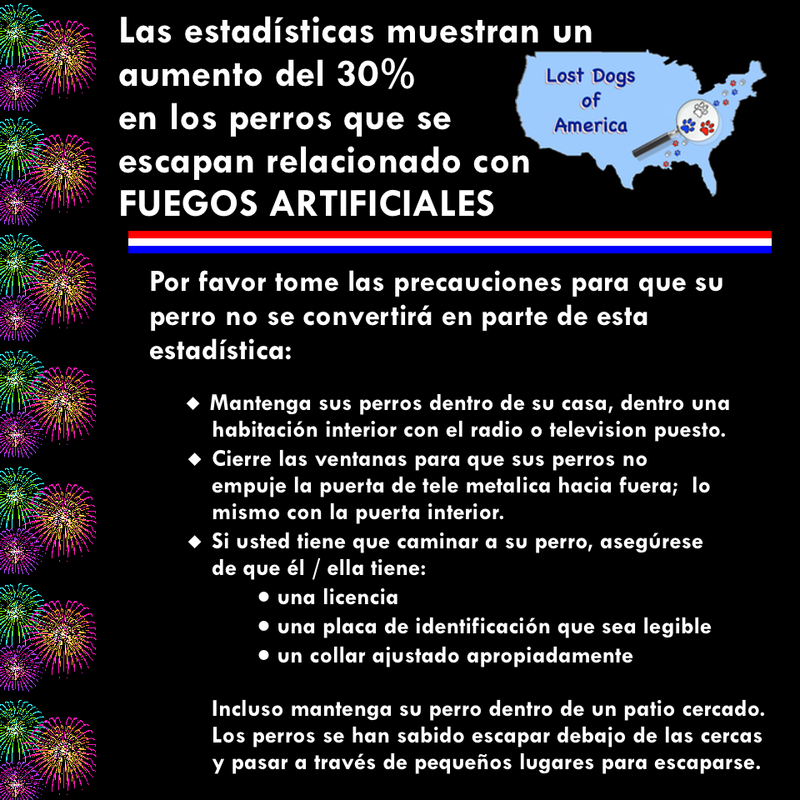 Many dogs are lost from auto accidents. Sometimes this is unavoidable and if it happens to you, please read our article on how to quickly and safely recover these dogs. But prevention and good safety are key to keeping a dog safe while you are driving. We would like to share this very educational infographic with you on Safe Driving With Dogs. Thank you to Andrew from Teens4Safety.com for suggesting this to us! This entry was posted in Prevention on November 12, 2013 by Susan. This entry was posted in Events, Prevention on April 14, 2013 by Susan.